The Management of Norden Millimeter Inc. is committed to quality and improvement in all areas of the organization. Working as a team, with the involvement of employees in the quality improvement process, ensures that the company’s goals for quality, efficiency and customer satisfaction are met. Norden Millimeter Inc.’s target for quality is to maintain and to improve the quality of products and service, in order to consistently meet customer requirements and internal needs. Norden Millimeter Inc.’s management is committed to the safety of the company’s operations and, in particular, to the health and safety of employees, customers and the public in general. Under observance of the aforementioned, customer satisfaction is the company’s main priority: we want to be our customer’s preferred supplier. 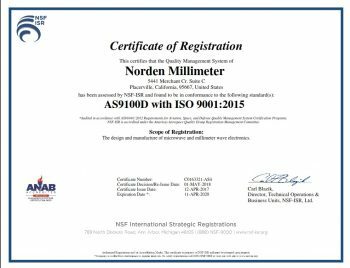 Norden Millimeter Inc.’s Quality System is certified to ISO 9001:2008 and AS9100:2009, Rev. 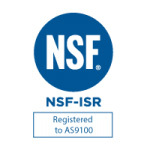 C. The Workmanship Standards and Visual Inspection Criteria are patterned on MIL-STD-883 and are released, and all visual inspection is being performed using this document as the standard. Test equipment is maintained per ISO9001:2000 thru a Calibration Service. Calibrations are performed in conformance with ISO10012-1 and ANSI/NCSL Z540-1 standards. In-process inspection is per applicable ISO Operating Procedure and visual inspections per the Visual Inspection Criteria Manual. Staff are trained and certified in conformance to the applicable ISO Operating Procedure. 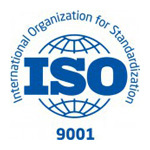 Work instructions and procedures are in conformance to the ISO Quality System. Standard product electrical and environmental testing includes product testing at +25°C for Gain, Noise Figure, Power Output and VSWR for amplifiers; Power Output, VSWR and Harmonic level for Multipliers; and Conversion Parameters, Power Output, VSWR and Harmonic level for Converters. Norden does have the capability of performing the above testing at other temperatures over the range of -55°C to +100°C. Additional electrical and environmental testing per applicable ISO or Military Standard is available per customer requirements. Testing such as Vibration, Shock and Leak Testing are performed at Environmental Testing facilities and are quoted on a cost basis. Norden products are based on assembly technologies and components with long histories of reliable operation. New design elements and new components are qualified for production with a highly accelerated stress test. 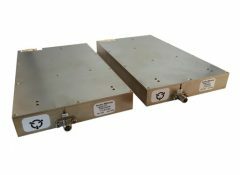 Every product shipped goes through an overnight DC power applied burn-in on every unit after seal. Norden Millimeter warrants to our customers that our products shall be free of any defects in manufacturing, materials and workmanship for a period of two years following the date that the products are shipped. 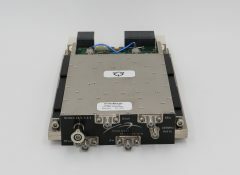 Repair or replacement of any failed unit will be at no charge to the buyer. This is in lieu of any other warranty, express, implied or statutory, all of which other warranties are expressly disclaimed. The liability of Norden Millimeter is limited solely to the repair or replacement of such products that fail during the warranty period. The decision to repair or replace a failed unit lies exclusively with Norden Millimeter. The warranty does not cover customer caused failures from damage, abuse or overstress.